A low pressure system will bring rain and snow to Wisconsin starting tonight and lasting on and off through Friday, ending Saturday. 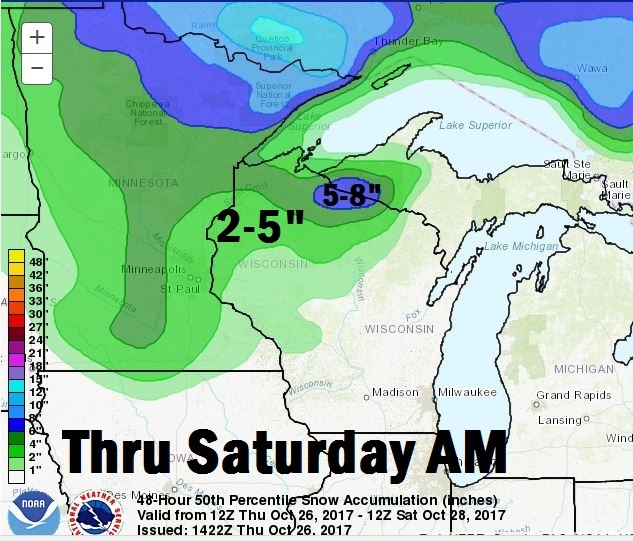 Northwest Wisconsin may see 2-5" of heavy, wet snow accumulation with locally higher amounts up to 8" in the snow belt region of far northern Wisconsin. A Winter Storm Watch has been issued for this particular area. 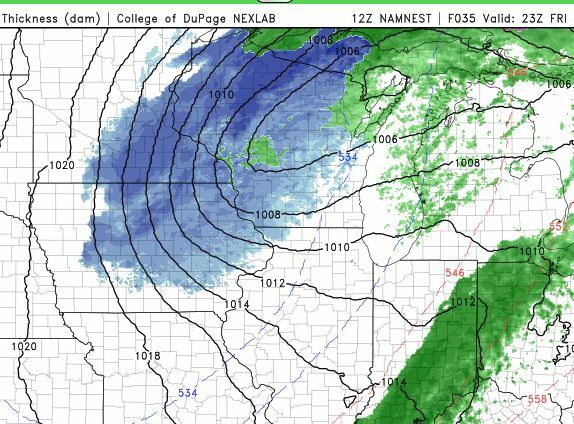 Isolated rain showers for southern Wisconsin, turning to isolated snow flurries on Saturday. There are a couple factors that could hinder total accumulations with this late October snow such as surface temps in the mid 30's, warm ground temps. However we call it the "snow belt" for a reason! Light snow or flurries will be possible statewide Friday night into Saturday from wrap around precipitation as the low pressure pulls away. 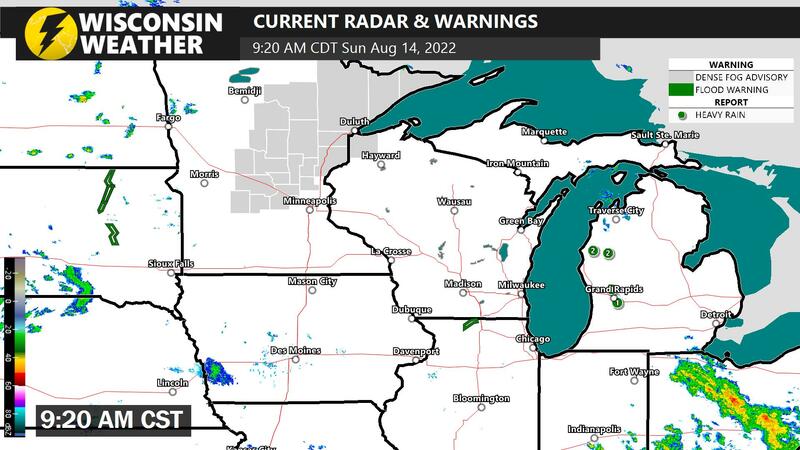 Little to no accumulation outside of northwest Wisconsin.